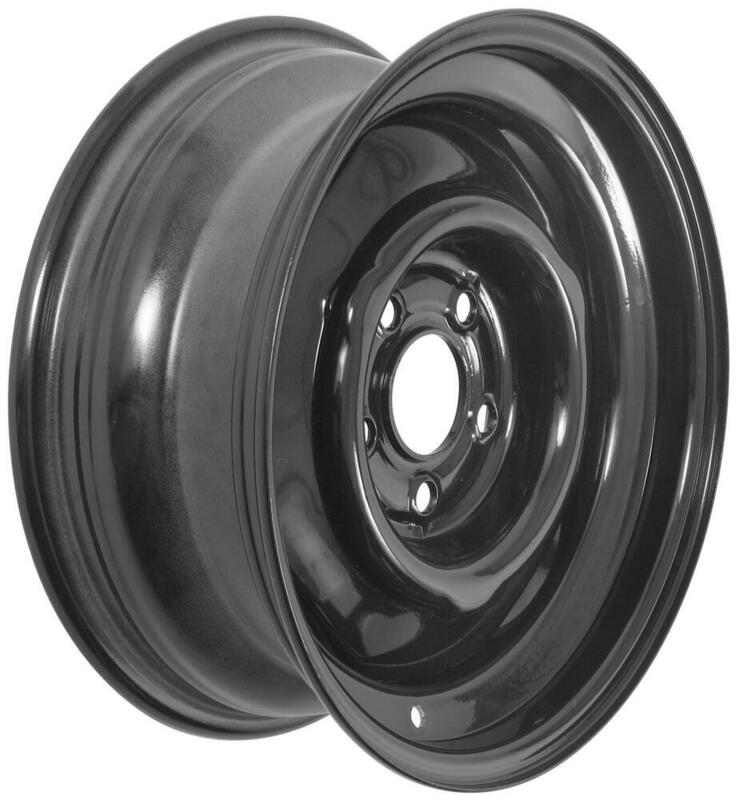 Black powder coated, 15" steel trailer wheel features a 5 on 4-1/2 bolt pattern and meets Department of Transportation standards. Lowest Prices for the best tires and wheels from Dexstar. Dexstar Conventional Steel Wheel with Offset - 15" x 6" Rim - 5 on 4-1/2 - Black part number AM20504 can be ordered online at etrailer.com or call 800-298-8924 for expert service. 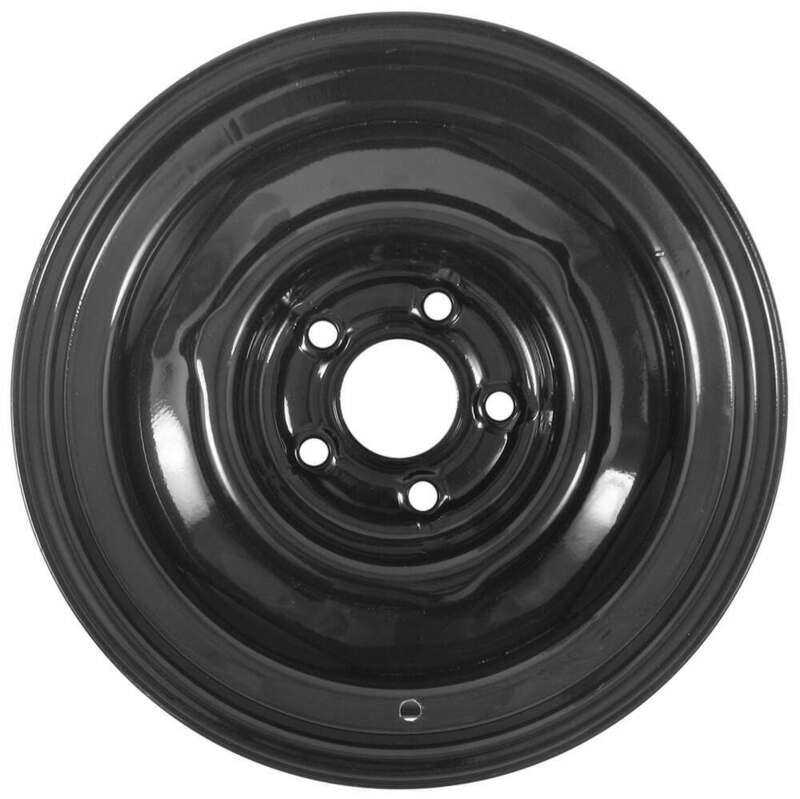 20504DX Dexstar Conventional Black Steel Wheel - 15"
This 15" x 5" steel trailer wheel has a 5 on 5-1/2 bolt pattern and a 4.25" pilot diameter. Improved torque retention keeps wheel secure when mounted on your axle. Rust-resistant, 3-step powder coat finish. Valve stem is included. This 14-1/2" x 6" conventional steel trailer wheel has an 6 on 5-1/2 bolt pattern, a 3.65" pilot diameter, and -0.5" offset. Beveled holes secure mounted wheel. Rust-resistant white powder coat finish. Today we're going to review part number AM-20504, this is the Dexstar 15 inch by 6 inch conventional steel trailer wheel, with the positive .5 inch offset and the 5 on 4.5 inch bolt pattern. 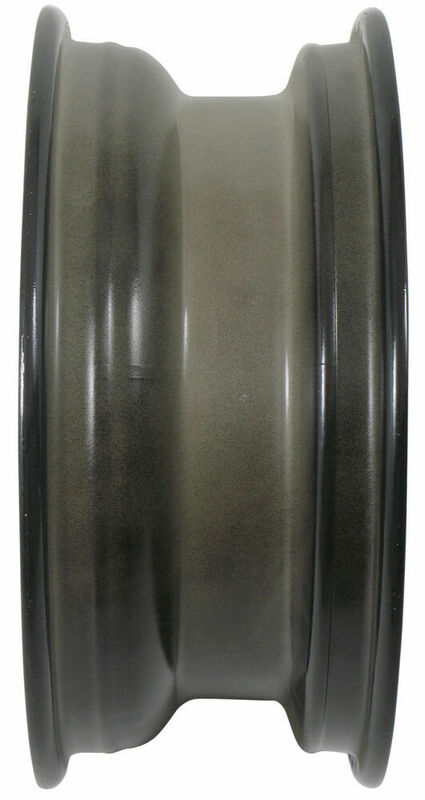 This wheel is a sturdy steel construction, has a nice black powder coat finish over Eco Primer over the whole wheel. This is for excellent corrosion resistance. This wheel is a conventional design wheel; it does not have any spokes or holes to it. This design is basically what was used on a lot of the automobiles that would accept hubcaps; it's designed to accept a hubcap. It has a positive offset, which insures in the wheel's position closer to the trailer frame. This is a high quality wheel that meets the Department of Transportation specifications. Now a few specs on this is the dimensions is a 15 inch diameter, by 6 inches wide. If you go to measure the wheel, what you'll be measuring is actually the inner to inner, which is the bead seat to bead seat. Basically when a tire is mounted on to this wheel, the beads of the tire would seat right here, so you're going to measure inside to inside. When you do measure it you can see it coming up to a 15 inch diameter, and on the width we'll do the same thing. Measure inside to inside which is the bead seat to bead seat. Put a ruler on that, we can see it's right at 6 inches wide, so this wheel would be 15 inch diameter, 6 inches wide. It's supposed to have a bolt pattern of 5 lug 4.5 inch bolt pattern, and if you're going to measure the bolt pattern, especially on a wheel that has an odd number of lugs, what you want to do is pick 1 of the lug holes, then start with that hole, and just measure from the center of that hole to the furthest edge on the whole right across from it. You can go to either this hole, or this hole; either one of those holes will get you the correct measurement. What we're going to do is I'm going to start with this hole and go over to the furthest edge on that one. The starting hole you'd go to center, and over here to the outer edge is 4.5 inches, so 5 lug 4.5 inch bolt pattern. It does have a wheel lug size of .5 inch by 20. The pilot hub diameter which is the hole here at the center of the wheel goes over the hub on your trailer. The diameter of that is going to be right at 2.62 inches for the pilot hub diameter. Now this wheel does have a weight capacity of 1,820 pounds, and the last thing, very important, is that this wheel has the .5 inch positive offset. Basically what that's saying is an offset on a wheel is when this center plate is - right at the centerline of the wheel that's the zero offset - so if this mounting surface plate back here that goes on to your hub or drum on your trailer - if that position of that plate would move towards the outside of the wheel or trailer, that would be positive offset. If it went deeper, then it would be a negative offset. This has a .5 inch positive so this mounting surface, if you measured it, would be .5 inch from the centerline of this wheel, positive to the outside of the wheel. What that does is this will allow the entire wheel to move closer to the trailer frame. Sometimes on some applications the reason they put offset on some wheels is to give extra clearance in here. If there's something on the axle that needs to clear. That should do it for the review on part number AM-20504, a Dexstar 15 inch by 6 inch conventional steel trailer wheel, with the .5 inch positive offset and the 5 on 4.5 inch bolt pattern. .
Order: RelevanceNewestRating - High to LowRating - Low to High Black powder coated, 15" steel trailer wheel features a 5 on 4-1/2 bolt pattern and meets Department of Transportation standards. 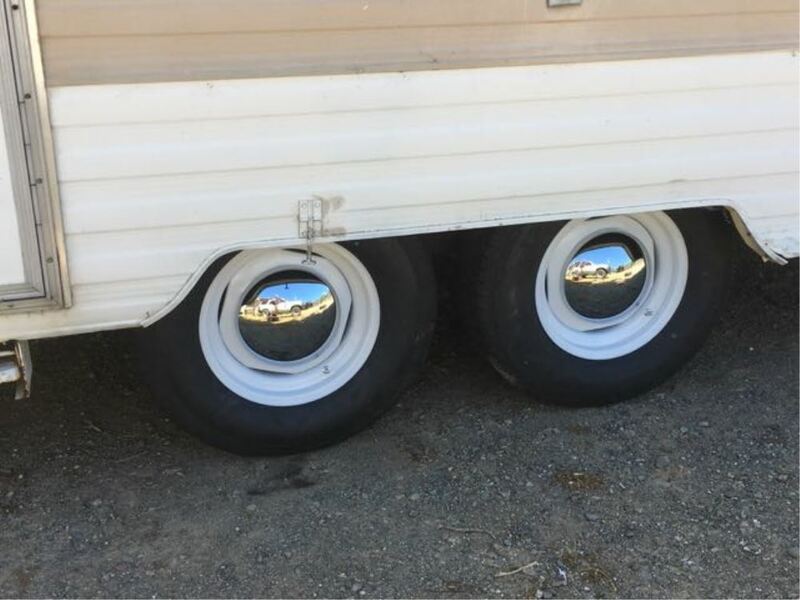 I see these steel wheels every day on my ranch trailers. Working Great. Thy DONT Wobble Because they are made by American Workers with skill. Its not CHINA JUNK. 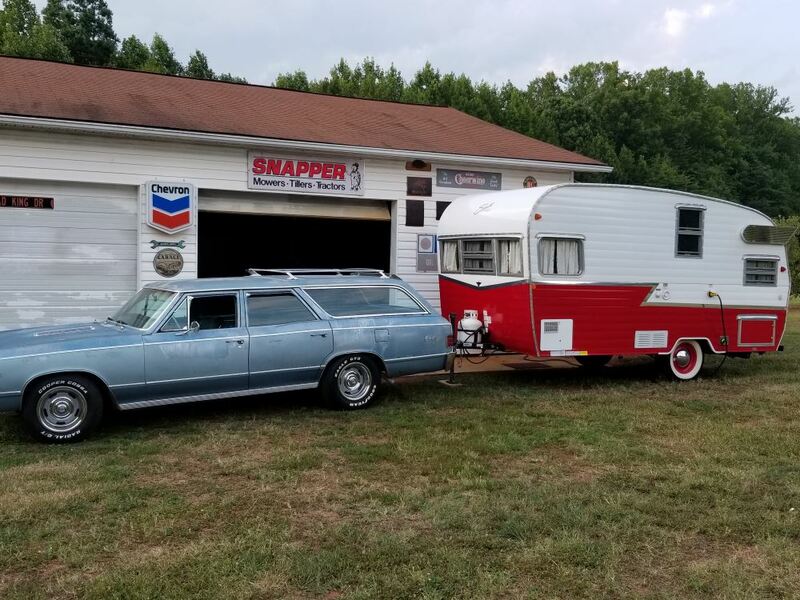 Thanks Etrailer. 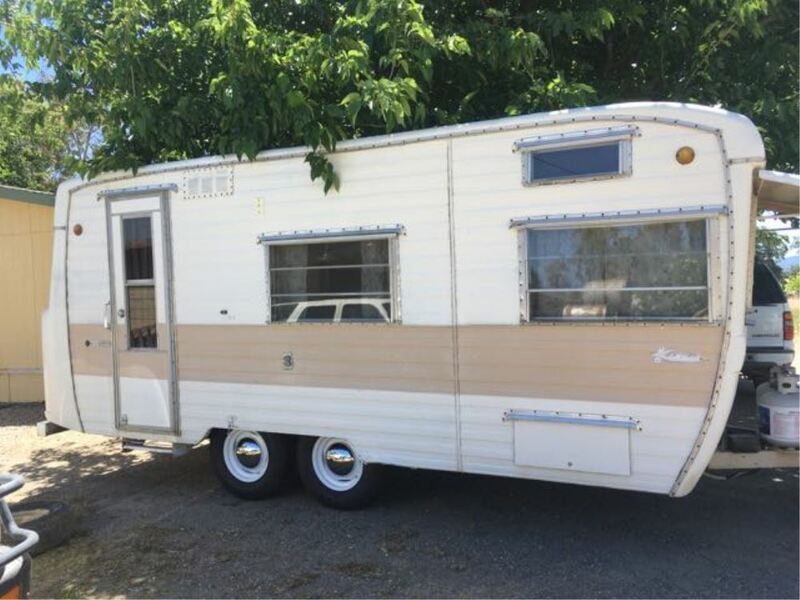 Just placed another order from Etrailer. HA. Stay with us Etrailer. Dont move. HA. We have a 15x5 inch, # AM20404, and a 15x6 inch, # AM20504. Each of these wheels has a 2.62 pilot hole. Each has the 5 on 4-1/2 bolt pattern. And each has a 1/2 inch positive offset. So the mounting surface is closer to the outside of the wheel moving the tire and wheel closer to the trailer frame. I have linked video reviews of both wheels for you. Based on the measurements I believe you need the 15x6 inch version, # AM20504. 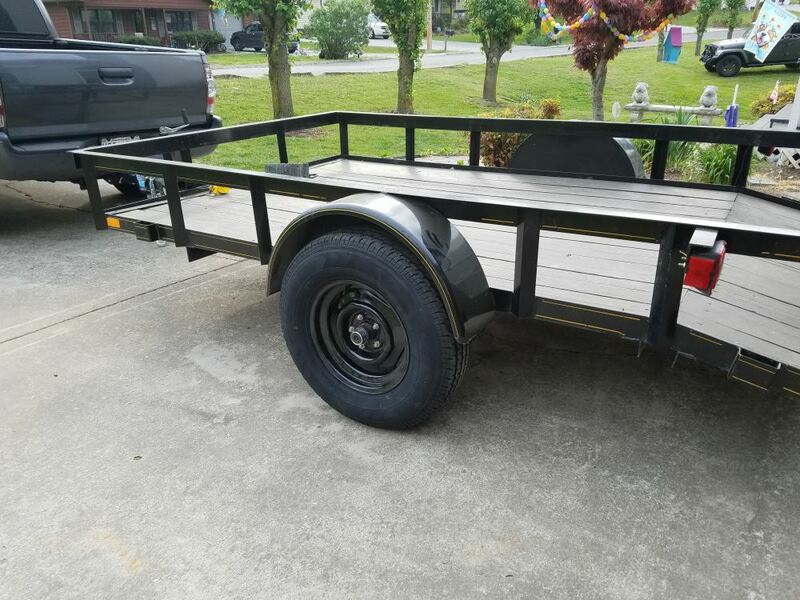 We don't carry vehicle rims, but we are aware that many people use trailer wheels like our Dexstar Conventional Steel Wheel with Offset - 15" x 6" Rim - 5 on 4-1/2 - Black, # AM20504 along with the Americana Baby Moon Trailer Wheel Center Cap - Chrome-Plated Steel - Qty 1, # AM90086 for a vintage look. 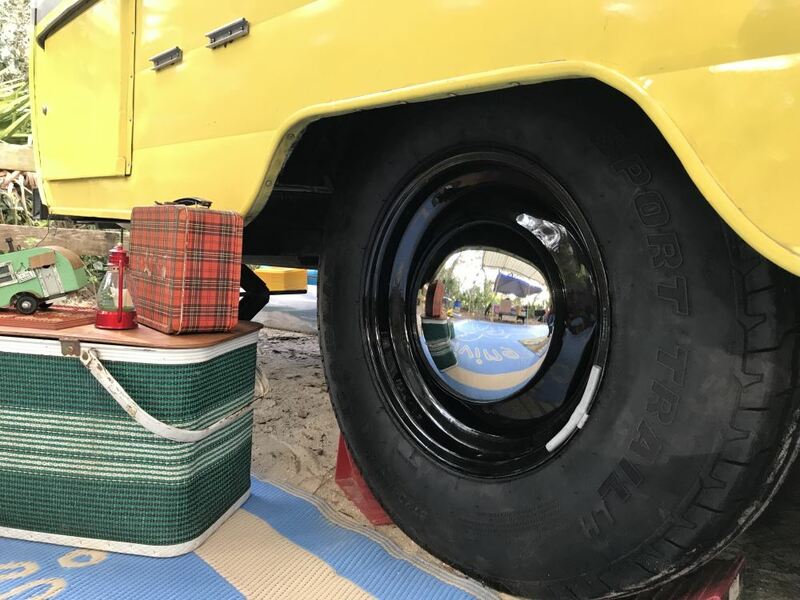 We cannot recommend trailer wheels for vehicle use, but these rims look very nice on vintage trailers. 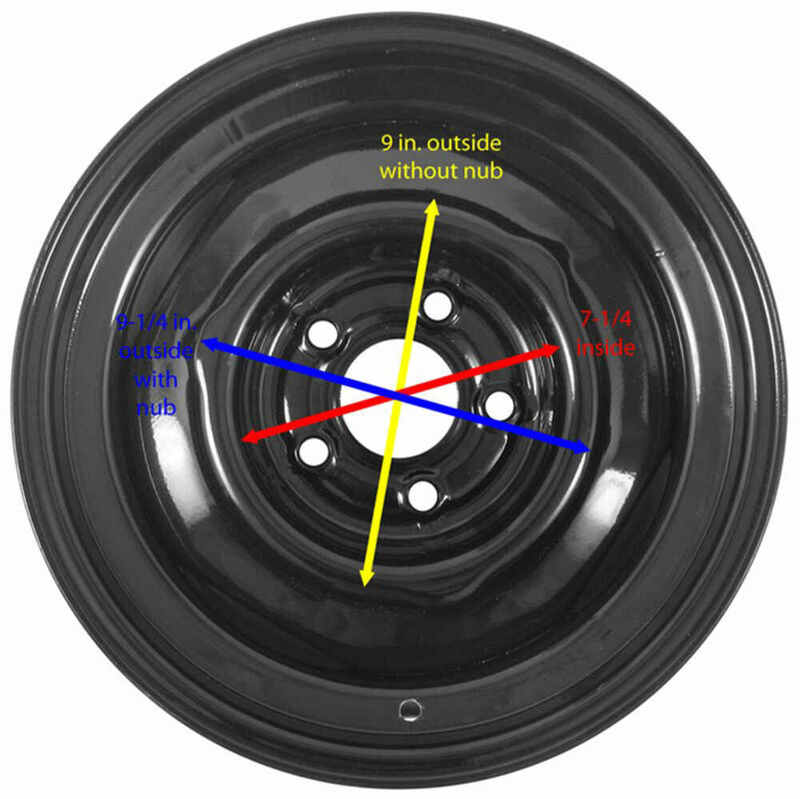 The Americana Baby Moon Trailer Wheel Center Cap # AM90086 is intended for 13-, 14- and 15-inch conventional steel trailer wheels like # AM20504 that have three projections around their center, as shown in the linked photo. The cover's inside diameter of 9-1/4-inches matches up to the outsides of these projections for a snug snap-on fit. The cover will not work on spoke wheels with triangular cutouts like Taskmaster Steel 8-Spoke Trailer Wheel # TTW560545WS1. Yes an ST20575D15 tire will fit on a 15 x 5 inch wheel # AM20404. Any given tire size has a range of wheels it will fit. 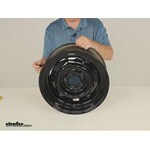 For this particular tire size it will fit 15 x 5, 5-1/2, 6, or 6-1/2 inch wheels. A 15 x 6 inch wheel would be more ideal, # AM20504. 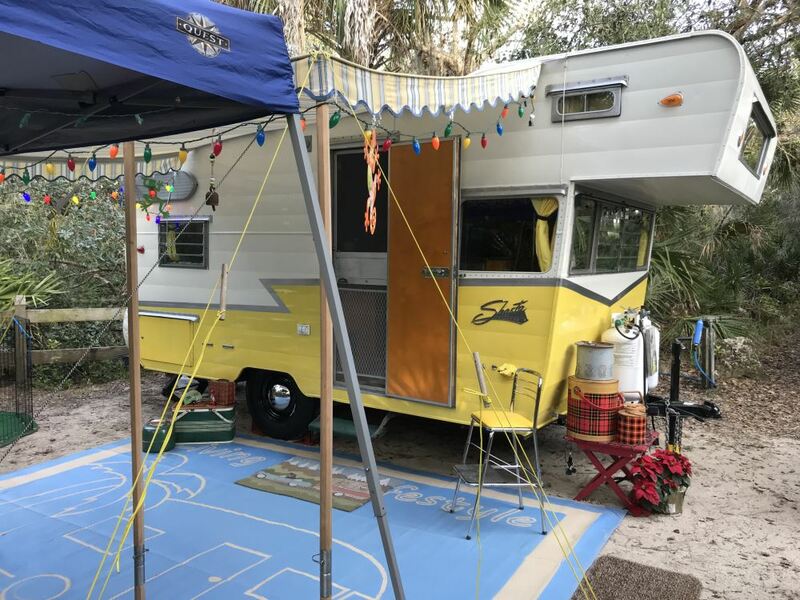 The baby moons can work on your trailer, but you will need to trade out your current wheels. The baby moon covers fit on Conventional Steel Wheels like # AM20212 in white or # AM20504 in black. There are various sizes that match your wheel bolt pattern, and I've linked the page to your options. These wheels all have the raised ring that the baby moon # AM90086 fits on.